Leading experts from paediatrics, neonatology, health visiting, dietetics and child psychology, specialising in early years nutrition and development. The ITF provides reliable, evidence-based information and practical tools to support you in making the right choices when feeding toddlers. Babies develop at a rapid rate during their first year and therefore good nutrition is particularly important. 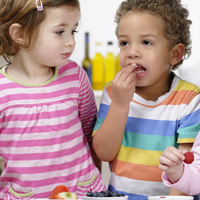 This section provides practical advice to help parents and carers understand the important developmental stages of feeding through to the introduction of complementary foods and the transition to family foods. Learn more about the campaign. The Infant & Toddler Forum asked parents and carers to help turn their evidence based guidance on what foods and in what amounts we should be feeding toddlers into something easy and practical that takes the guess-work out of mealtimes. Learn more about the campaign. 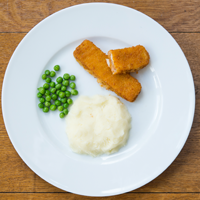 With evidence linking large portion sizes to excess weight gain, the Infant & Toddler Forum launched the #rethinktoddlerportionsizes campaign to help take the guesswork out of how much is enough. Learn more about the campaign. The Infant & Toddler Forum’s report Early Nutrition for Later Health: Time to Act Earlier makes the case for giving greater priority to nutrition and lifestyle guidance in preconception and pregnancy as critical windows of opportunity, to improve the health of the next generation. Learn more about the campaign.